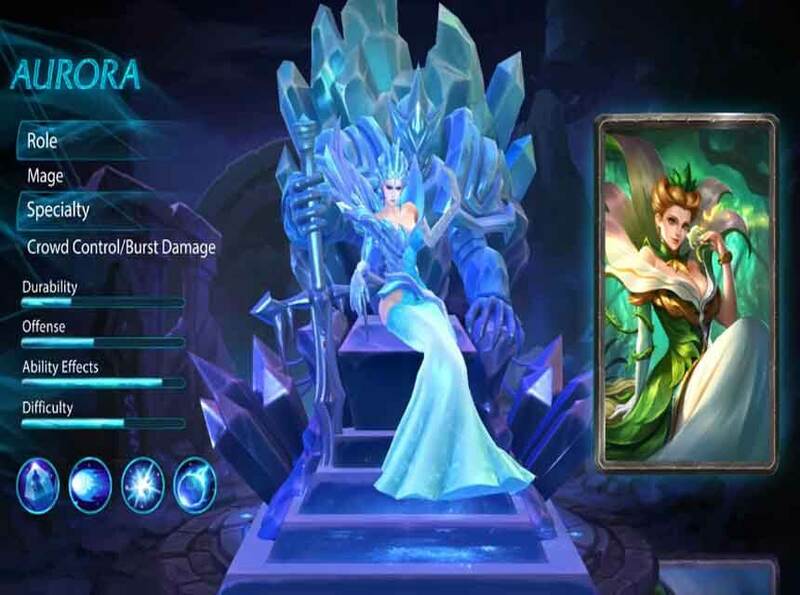 Another character to watch out in Mobile Legends next to Hilda is the new mage hero Aurora “Queen of the North”. The Mobile Legends Bang Bang already reveals his gameplay few days ago, where her skills features ice magic that can freeze the target enemy. Since Aurora is a Mage, she is useful when it comes to team battles specially the third skill where it summons a giant ice to freeze the enemy and target location. The Aurora can be vulnerable in terms of durability, but her skills and abilities lets you decide how to prepare a more technical gameplay depending on the enemy match up heroes. If you’re a mage player, Aurora can be the next hero you can try out. You can use to trick enemy using her skills and abilities when it comes to one on one game fight. Check out the profile, price and gameplay in action below. Price of Ice: Passive - Each time the skill is released, one unit of frost energy will be added to hero, when 4 units of frost energy is collected, the next skill damage will freeze the target. All skills can cause extra magic damage to the frozen target. Frost Shock: Skill 1 – Fires forward a Frost Energy Missile, when it hits the enemy it will detonate and deal radial Magic Damage and slow enemies down. Bitter Frost: Skill 2 - Deals Magic Damage to target with additional small scale slowdown effect. Coldness Destroy: Skill 3 - Summons a giant icy rock to bombard a designated target location, all enemy heroes hit will be slowed down and receive Magic Damage. Surrounding enemies of the target location where the rock lands also will be slowed down and receive Magic Damage. Aurora Gameplay, watch him in action below. Do you think Aurora is better than the last release Mage Cyclops? Tell us your opinions by hitting the comment box below. We’re not sure on the release date of Aurora, you can buy him during the availability for a discounted price or if you don’t have enough diamonds you can always buy and recharge by using telecom billing option.